Chelsea attacking midfielder Cesc Fabregas is edging closer to a Stamford Bridge exit according to reports from Turkey. Sabah newspaper quoted Fabregas’ agent Darren Dein revealing that his client has received offers from Spain, Italy and Turkey. Dein said: “There are offers from Spain, Italy and Turkey for Fabregas, we have time to decide his future. Per the source, Fenerbahce are closing in on a move for the Spanish midfielder in January. The report claims that Fenerbahce have made the most attractive offer and that sporting director Damien Comolli has been working behind the scenes trying to pull strings with his contacts in the Premier League. Dein’s father David has close ties to Fenerbahce president Ali Koc who he has consulted for years. 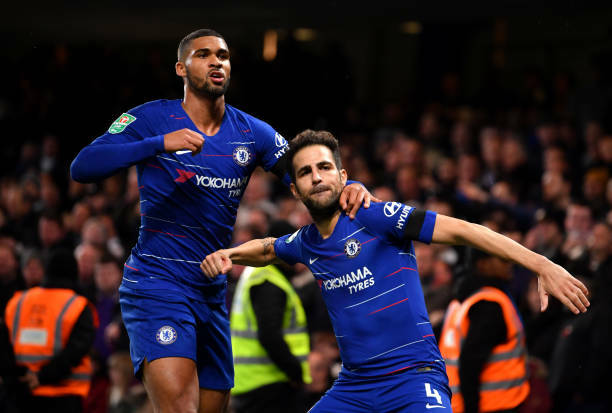 Fabregas has struggled for playing time this season but would almost be guaranteed a first-team role if he were to move to Turkey and be paid a lucrative salary. The 31-year-old has struggled for playing time this season making just nine appearances in all competitions and was left on the bench against Tottenham over the weekend. The attacking midfielder has under a year remaining on his contract meaning Fenerbahce are able to enter direct talks in January.